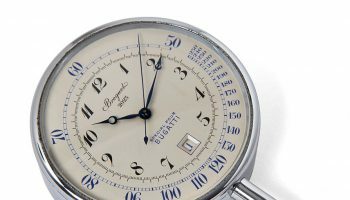 As Abraham-Louis Breguet, the founder of the brand that carries his name was appointed Official Horologer to the French Royal Navy in 1815 the marque enjoys a special relationship with the oceans. 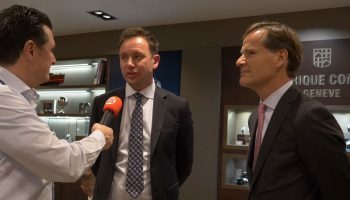 This was recently highlighted again with a partnership between Breguet and the Race for Water foundation. This foundation focusses on the preservation of water in general and the oceans especially. 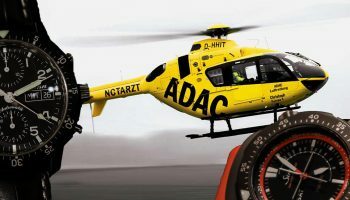 Breguet will be the main partner of the Odyssey 2017-2021. 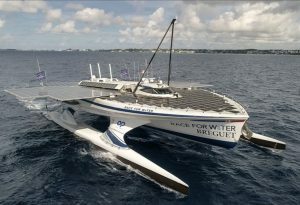 In this mission Race for Water will sail across the world in a revolutionary, 100 tonnes vessel powered by a mix of solar, hydrogen, and a kite. 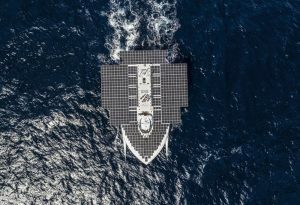 This way they will raising awareness and promoting much-needed solutions focussed on plastic pollution and ocean preservation. 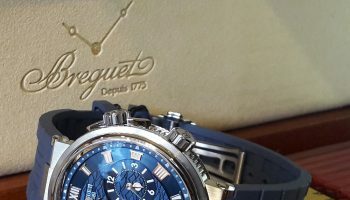 To mark this partnership Breguet also created a special version of their Marine Ref.5517. 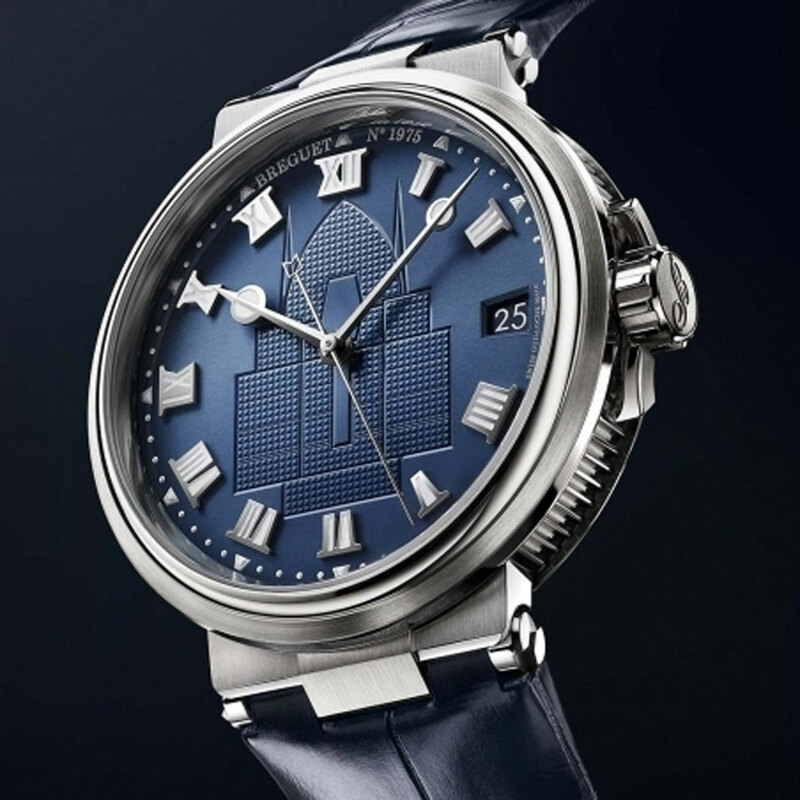 Its deep blue dial now features the outline of the Race for Water vessel in a clous de Paris motif. 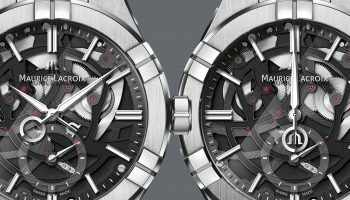 Featuring a titanium case, it is a light yet robust watch which makes it perfect to travel around the world with. 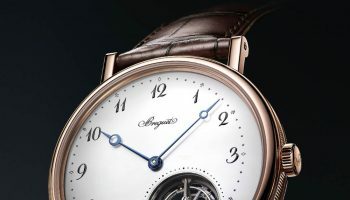 The watch is powered by caliber 777A, which Breguet crafts in-house and which features a silicon balance spring as well as silicon horns on the escapement, for optimum timekeeping.